The simple capelet worked in the round is a terrific addition to your wardrobe for those brisk days when a sweater is just too warm, but you want something on your shoulders. 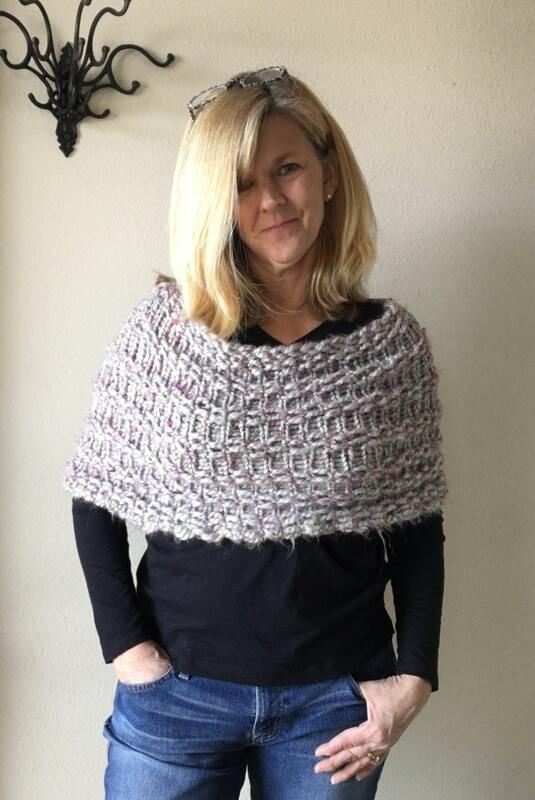 This capelet is knit on the 28” AKB Knitting Board with peg extenders and uses approximately 150 yards of a 6-Super Bulky yarn and has a modern super chunky look. 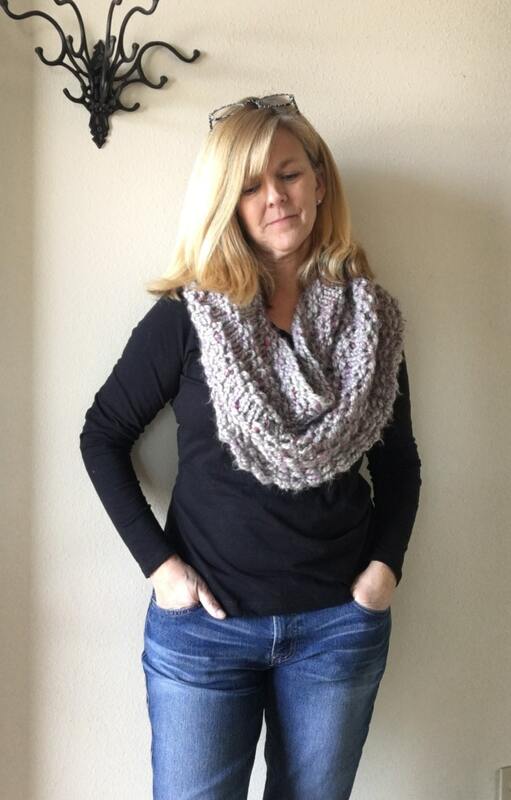 Yarn Bee’s Effortless in Shadow Frost was used in the sample. 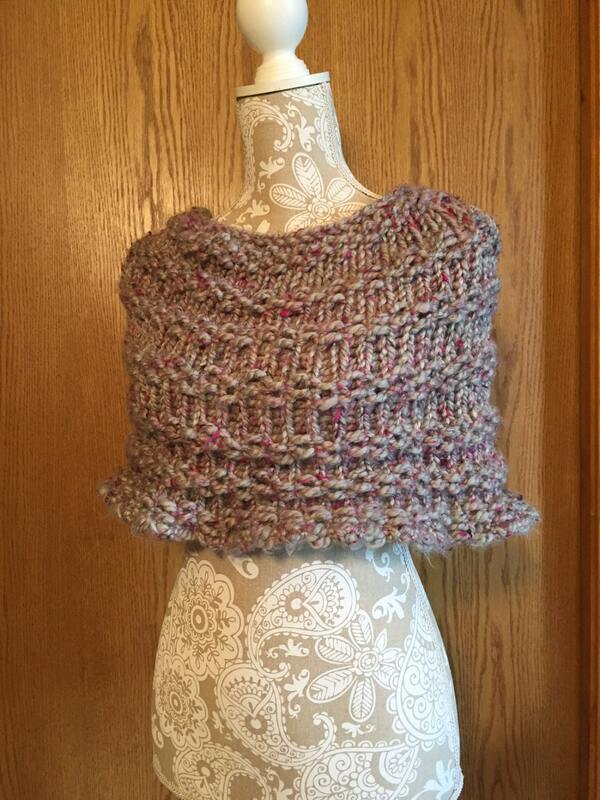 The capelet is 12” deep; 36” along the top edge; and 43” along the bottom edge.